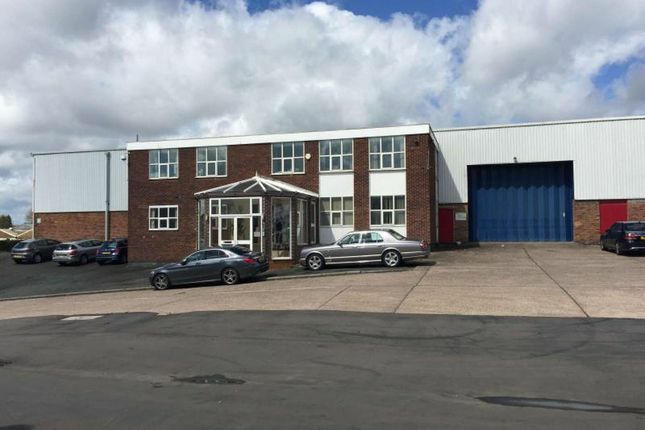 The property is located on the well established and popular Middlemore Industrial Estate of Middlemore Road, Smethwick. Middlemore Road leads to Birmingham Road (A41) which connects directly to the Midlands motorway network at Junction 1 of the M5, approximately half a mile away. The property comprises of a mid-terraced single storey industrial/ warehouse unit of brick built construction surmounted by a corrugated metal roof incorporating intermittent translucent roof panels. Internally the ground floor unit benefits from concrete flooring, fluorescent strip lighting, three phase electricity and a loading bay. The first floor modern office suites benefitting from carpets & flooring, fluorescent strip lighting, gas central heating and a kitchenette. Externally the unit has car parking spaces for several vehicles to the front. We are advised all main services are connected to include gas, water and three phase electricity. We understand that an estate charge is to be levied to cover the cost of services provided by the Freeholder. A ground rent of £375 per annum is also to be paid by the ingoing tenant. The units are available separately or as a whole, subject to contract. Terms to be agreed. The property is currently listed within the 2010 rating listing as having a rateable value of £12,750. Rates payable will be in the region of £5,737.50 per annum. Interested parties are advised to make their own enquiries to Birmingham City Council. Each party to pay their own legal costs incurred in this transaction. Strictly by prior appointment with sole agents, Mason Young Property Consultants. Property descriptions and related information displayed on this page, with the exclusion of Running Costs data, are marketing materials provided by Mason Young Property Consultants, and do not constitute property particulars. Please contact Mason Young Property Consultants for full details and further information. The Running Costs data displayed on this page are provided by PrimeLocation to give an indication of potential running costs based on various data sources. PrimeLocation does not warrant or accept any responsibility for the accuracy or completeness of the property descriptions, related information or Running Costs data provided here.